Anticipate customer demand and improve your competitiveness with our comprehensive solution for retailers. Streamline your inventory, extend your POS functionality, and offer outstanding customer service. One simple-to-use for your entire business. Provide timely, precise and high-quality restaurant and food service with our extensive software solution. Manage recipes and food information, improve your kitchen’s productivity and enhance your POS terminals – all with one, powerful system. Offer exceptional service at the pump, in the store and in the cafeteria with our fully integrated solution. Run all of your business’s diverse operations –from day-to-day procedures to sales analysis – easily and effectively, directly from headquarters. Discover a fully integrated retail and dispensing software rich with pharmacy-specific functionalities. Manage various type of prescriptions, handle drugs effectively and let the system take care of price calculations based on various insurance schemes. Choosing the right Point Of Sale system or business management software could quickly become an overwhelming experience. That's why we are here to help and assist you every step of the way. Contact our experts and we'll provide the best suggestions to fit your unique business needs. Give your customers a multi-concept shopping experience that digital commerce can’t compete with! 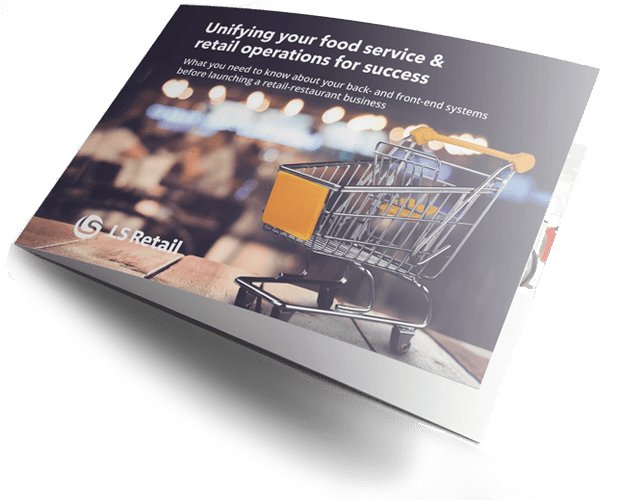 Discover 4 ways to build a profitable retail and restaurant hybrid business with unified business management software.